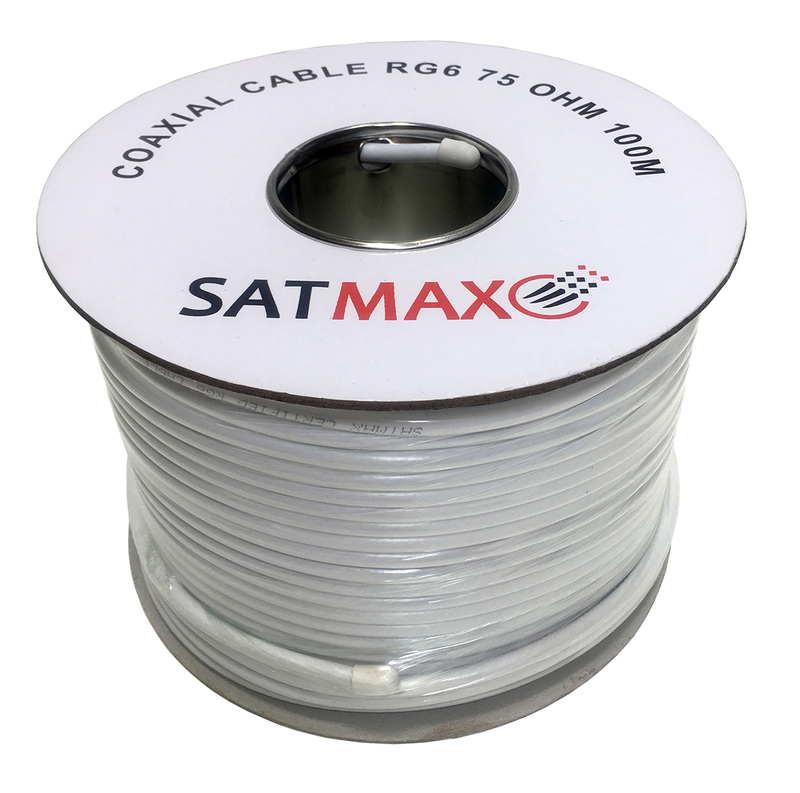 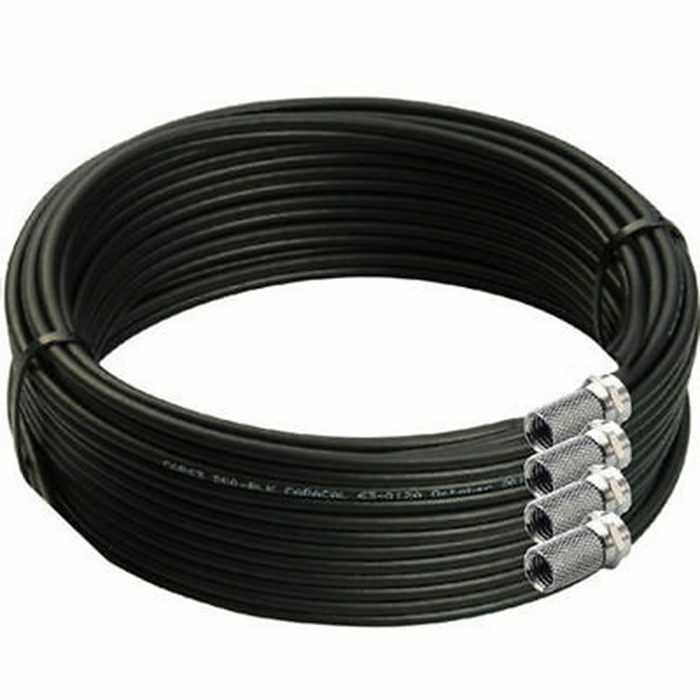 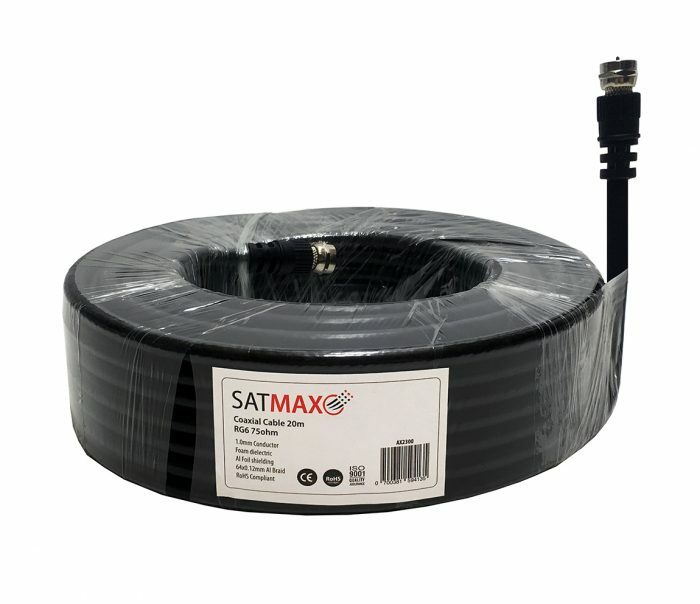 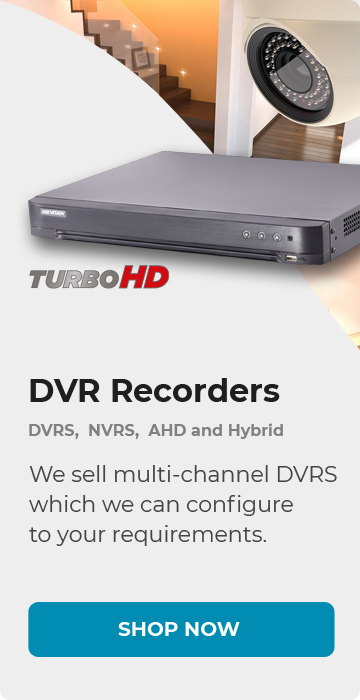 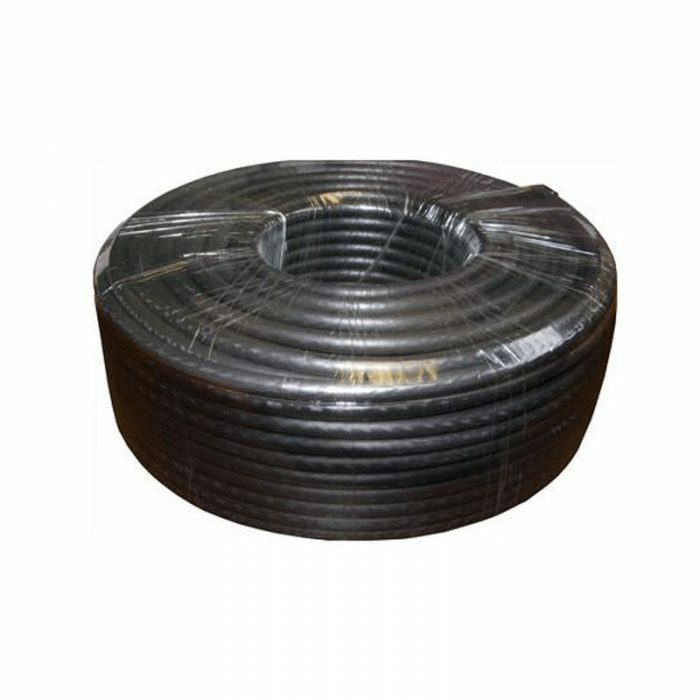 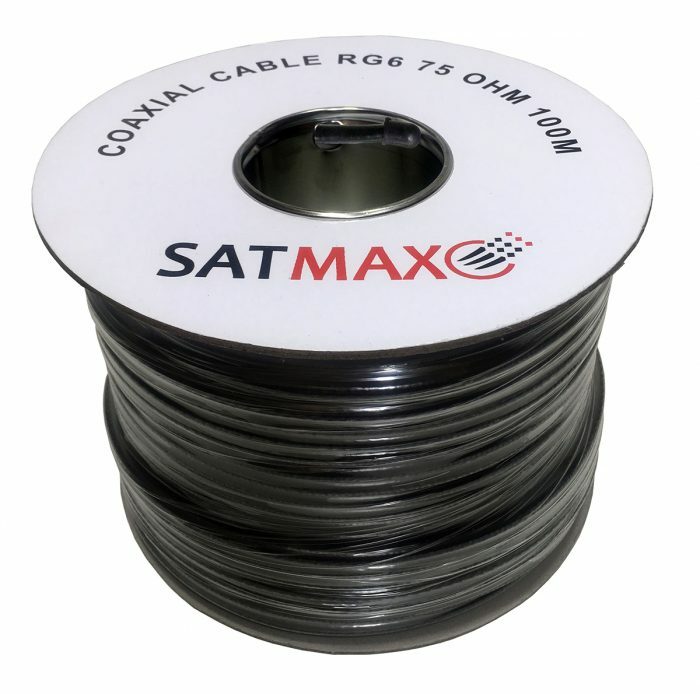 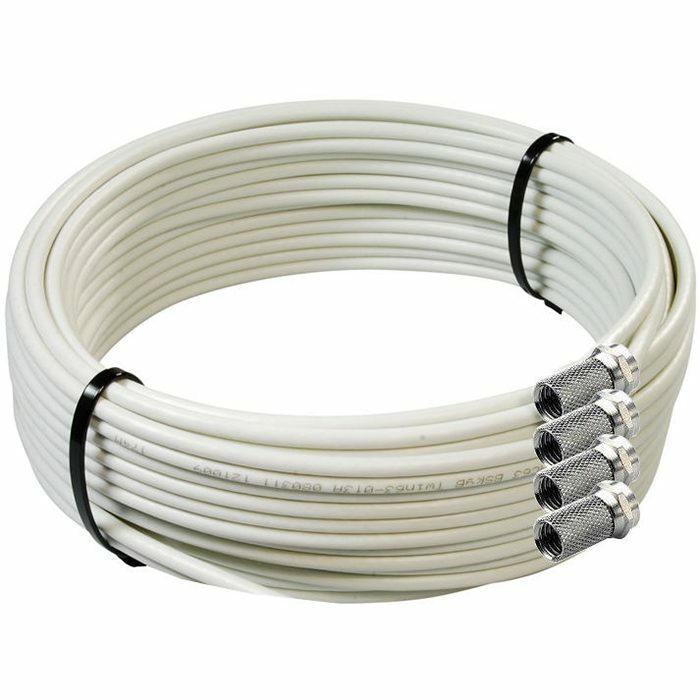 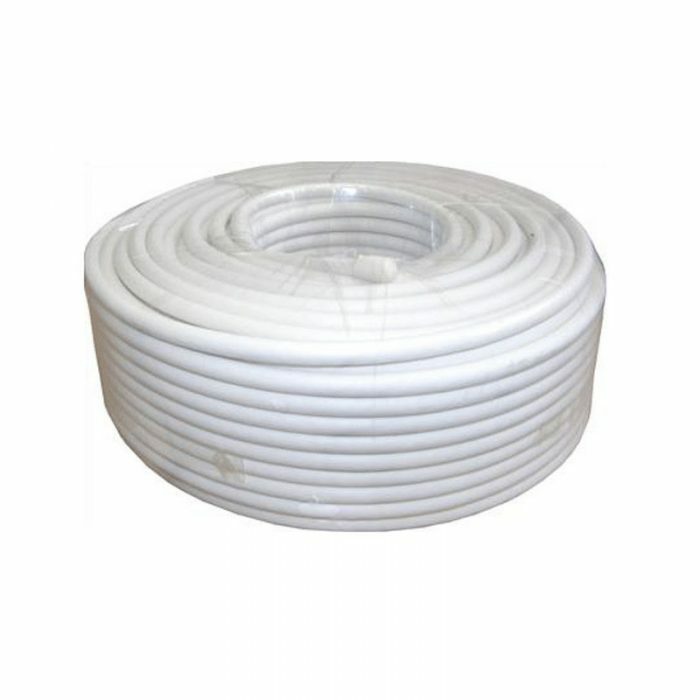 This is a high grade, low loss RG6 digital coaxial cable with a standard diameter of 6.4mm which is commonly used by contractors and installers for Sky satellite, Freesat and Freeview aerial downleads as well as general cable extension leads. 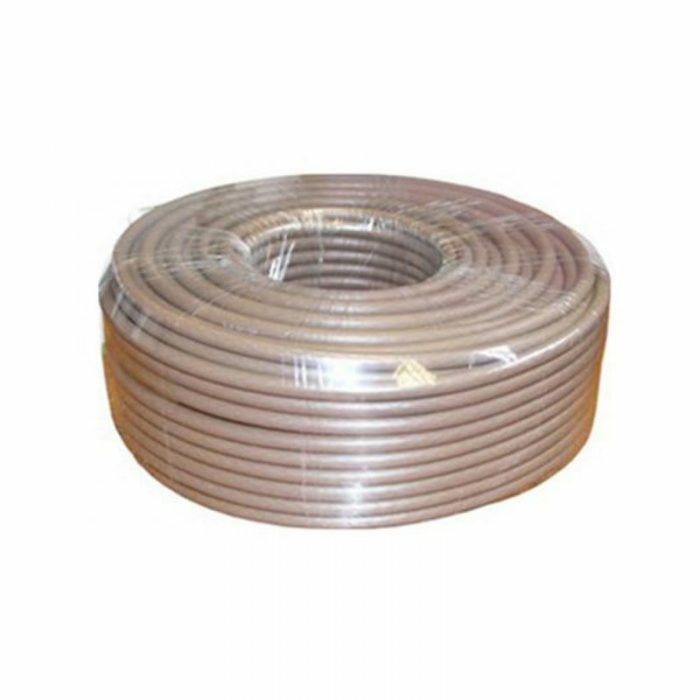 The cable has solid foam dielectric (the white bit around the centre core) so it can be used in underground ducting and doesn’t allow water to penetrate and run down the cable unlike air spaced cable. 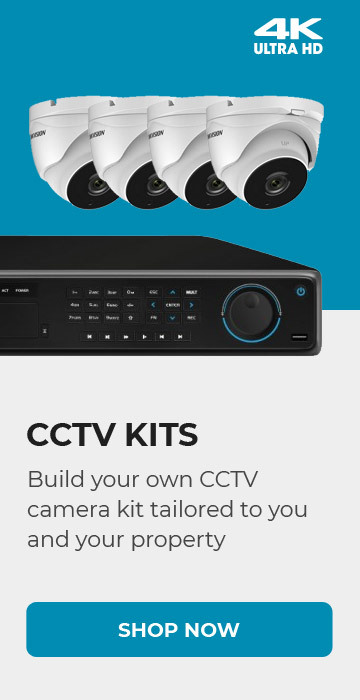 The cable has a waterproof outer sheath and is double shielded with aluminium foil and aluminium braiding which helps keep the unwanted, interference causing signals out and the good signals in.